Bruce Reid graduated in Bachelor of Medicine and Surgery in 1968. Bruce is a fellow of Sports Dr. Australia. 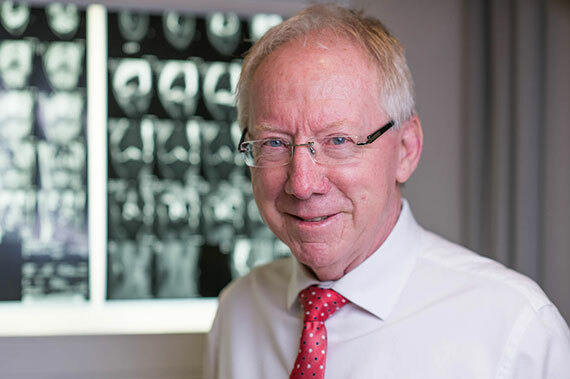 Bruce is the longest senior AFL doctor, serving Richmond Football Club from 1976 – 1979 and has been Senior Medical Officer at Essendon Football Club since 1982 and is still in that position. Bruce is a member of AFL Medical Officers Association and at present is the Secretary. Representative honours include Australian doctor on four occasions in the Australia vs Ireland International Rules team 1987, 1990, 2005, 2006. Bruce has been doctor for Victorian State of Origin team on three occasions over 20 years. Bruce played two years at Hawthorn Football Club in 1966 and 1967 playing 3 senior games and came third in the Morrish Medal. Bruce also played in Preston’s (VFA) premiership sides in 1968 and 1969, placing second in the Liston Trophy in 1969. Bruce has been keenly interested in sports medicine and intimately involved at the elite level since 1976. Bruce believes his patients should not feel that sports medicine only applies to elite athletes but likes to involve all ages who have injuries, growth problems, degenerative problems, or simply patients who want to improve their health particularly through exercise. Bruce and his wife Judy have five children all of whom are interested in sport and exercise.